Note: Includes headmaster warrior Cancer. This new series of Japanese figures commemorates the 30th anniversary of the Transformers with an all new lineup of legendary figures! 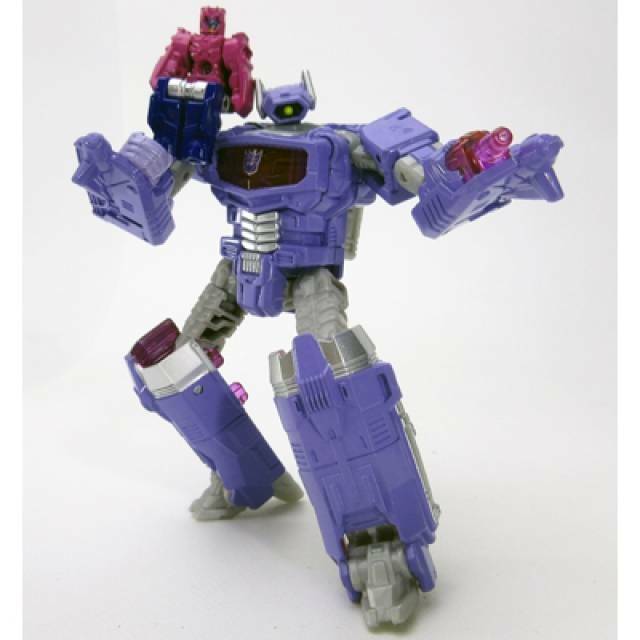 Not to be confused with legends scale figures, this figure is regular Legends scale figure as shown in an exclusive color scheme only available for shockwave in this figure.